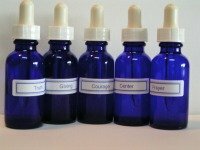 *Place the essences in a home or work environment and notice how they help create a sense of peace and harmony. *Apply an essence to your heart as you sit in quiet, focused contemplation, meditation or prayer. *Use the essences to enhance the effectiveness of a self directed chakra-color healing method. *Experience very in depth use of the essences in one-on-one healing sessions, group meditations and two day classes. Learn about the Four Options for Using The Essences for the Home Temple by reading this page. Place the essences in a home or work environment and notice how they help create a sense of peace and harmony. The Essences for the Home Temple are very versatile and have many uses. Most importantly however, they create a sense of peace and harmony in the home environment. All you need to do is place them in a room. You don’t need to do anything more. They can be placed in a room where you are most comfortable sitting in quiet contemplation, prayer or meditation. Healing Centers can benefit from placing the essences not only in treatment rooms but in waiting rooms. Board-rooms of large corporations can benefit from the healing presence of the essences. The essences lift the frequency of any environment and create a soothing energy. People who are feeling negative emotions feel soothed as they stand in a room where the essences are placed. If you purchase one essence kit such as the kit titled Loving Yourself and place the essence bottles on your home or work place you will notice you begin loving yourself more. This happens even if you do not give the process of loving yourself direct attention through focused contemplation. The same applies to all four essence kits. Each kit has and emphasis and a different effect on you. There are four essence kits. If you purchase all four of them and place them in an environment you will experience a feeling of rest and relaxation that can only be described as holy. If you purchase one kit you feel the same feelings but the vibration is more subtle. Apply an essence to your heart as you sit in quiet, focused contemplation, meditation or prayer. Use the essences to enhance the effectiveness of a self directed chakra-color healing method. This option is only for those who are experienced with process of personal transformation. This is an option for those who know they create their own reality. These people know that if they love themselves enough they create a highly conscious way of helping themselves resolve their conflicts. If you choose this option you must know about the complex energy centers called chakras. You must know that people live in a human body with a highly developed energetic matrix that gives them feedback every second of every day about the condition of their consciousness. The energy represented by each essence is housed in one specific chakra. These are called the twenty rays of Christ Consciousness. The frequency of these rays are captured in the twenty Essences for the Home Temple. Every human being houses these frequencies in the chakra system. These frequencies become activated as people love themselves out of fear. The people who love themselves out of fear consciously create a life focus of healing every physical, emotional, mental or spiritual issue that comes up. Such people may employ the help of varied professionals to assist them in healing their fear. Always, however, such people take complete responsibility for their lives. “I just proved to myself that this method of self healing works. I had a problem with finding my purpose. I couldn’t figure out what to do with my life. I had no appreciation of my personal gift of helping others complete big, complex projects. As I have meditated with the ray of purpose I’ve begun to appreciate my gift and feel that my gift is what I have to offer to others. Experience very in depth use of the essences in one-on-one healing sessions, group meditations and two day classes. The following services are offered providing in-depth experiences with the essences, and healing. Services are provided in Kathryn Jensen's Hawaii office, her Colorado office or via phone or skype. · Dolphin Energy Healing – One-on-one energy work using very in depth chakra-color healing work and The Home Temple Essences. ·Frequent meditation-energy healing groups held in 2013-2014 inKathryn Jensen's home in Hawaii. 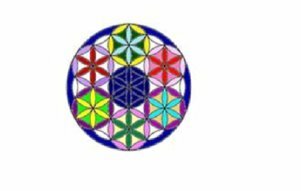 ·16 Hour Introdutory workshops to a healing system series of classed called Coat of Many Colors. A one-on-one tutoring/coaching/mentioring option is also available.